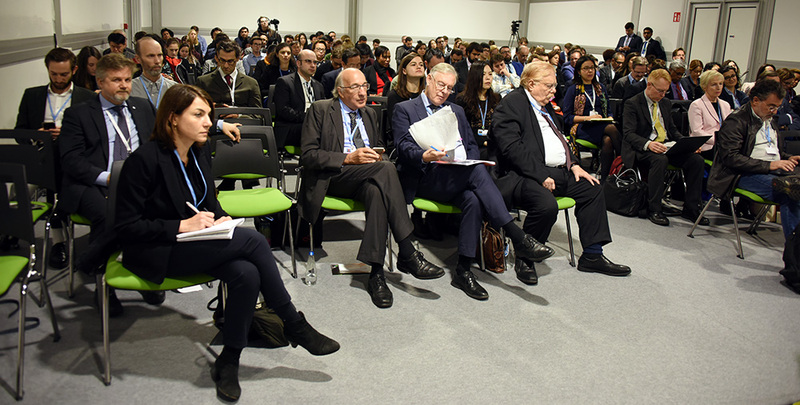 This event considered how governments and financial institutions can work together on the transformative agenda needed to align financial flows with a low-emission, resilient future that effectively implements Article 2.1(c) of the Paris Agreement, which calls for making finance flows consistent with a pathway towards low greenhouse gas (GHG) emissions and climate-resilient development. Fiona Harvey, Environment Correspondent, The Guardian newspaper, moderated the event. 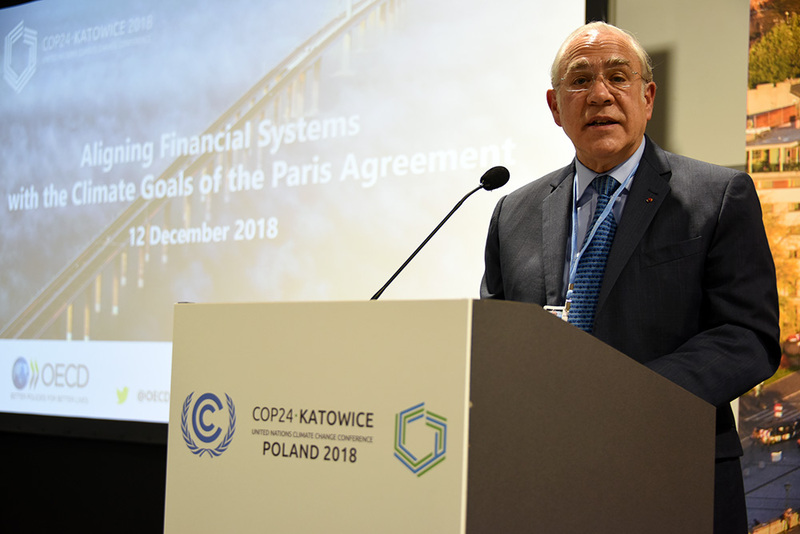 In a keynote address, Ángel Gurría, Secretary-General, OECD, stressed that the Intergovernmental Panel on Climate Change (IPCC) Special Report on 1.5°C (SR15) calls for bold climate action to prevent warming of over 1.5°C, and noted that implementation of the Paris Agreement has been “too cautious, too piecemeal, and too slow.” Noting the need for rapid transformations in the energy, urban and transport sectors, he highlighted the OECD, World Bank and UNEP Report entitled “Financing Climate Futures: Rethinking Infrastructure.” Gurría emphasized the importance of shifting incentives embedded in taxation to leverage private sector finance, and stressed that the Paris Collaborative on Green Budgeting focuses on a method where budgets are consistent with the need to lower carbon emissions. 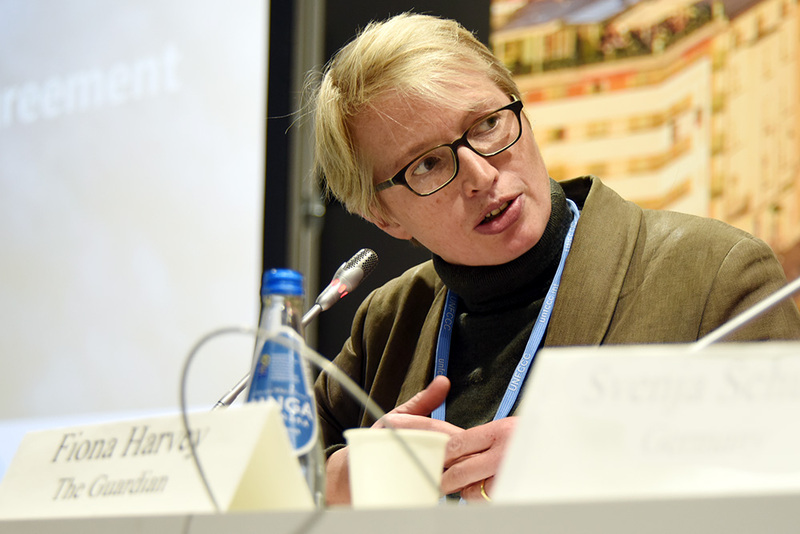 Svenja Schulze, Minister for the Environment, Nature Conservation and Nuclear Safety, Germany, reiterated her country’s support to countries that are most affected by climate change and stressed the need to make global financial flows climate compatible. She highlighted the need for substantial investments in infrastructure and for changing the financial sector's mindset. 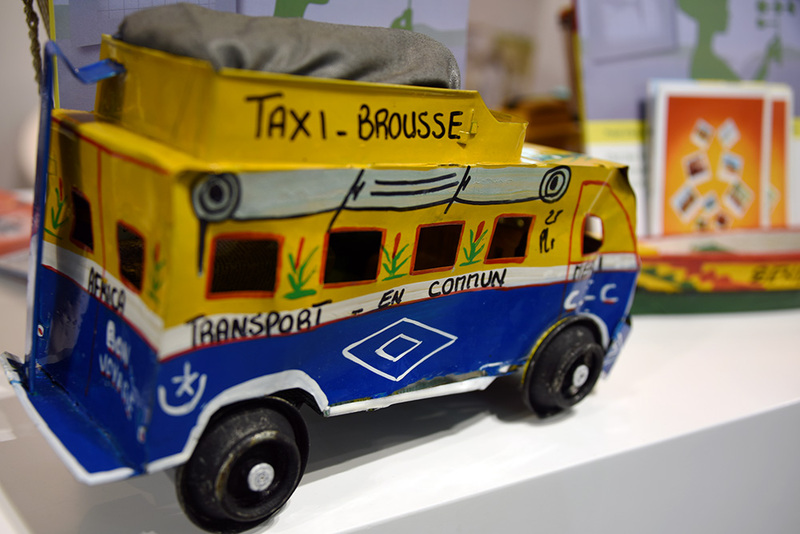 Schulze called for a broader discussion on what is sustainable in order to mobilize more finance. 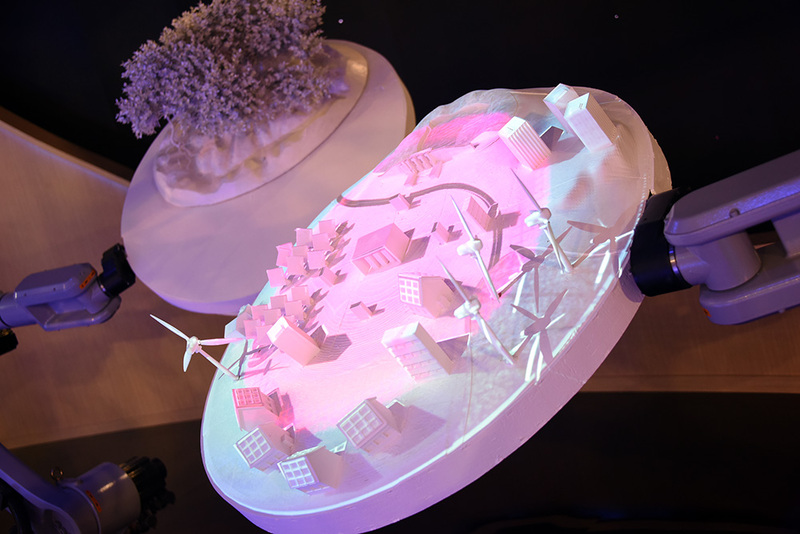 Håvard Gulbrandsen, Managing Director, KLP Asset Management, said that institutional investors are prepared to ramp up investments in climate action, and stated that his company divested from coal and invested USD 1 billion per year towards renewable energy in Nordic countries. 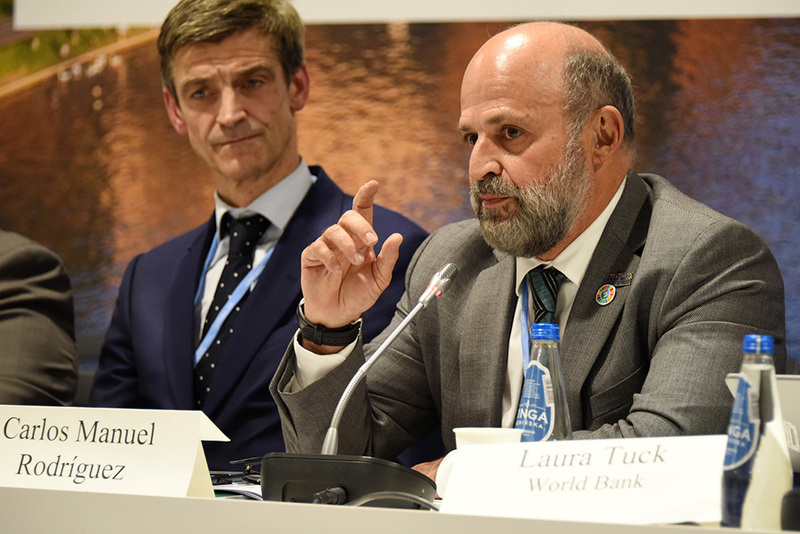 Highlighting that with the right incentives the money will come, he underscored the need to include large corporations in the implementation of the Paris Agreement. 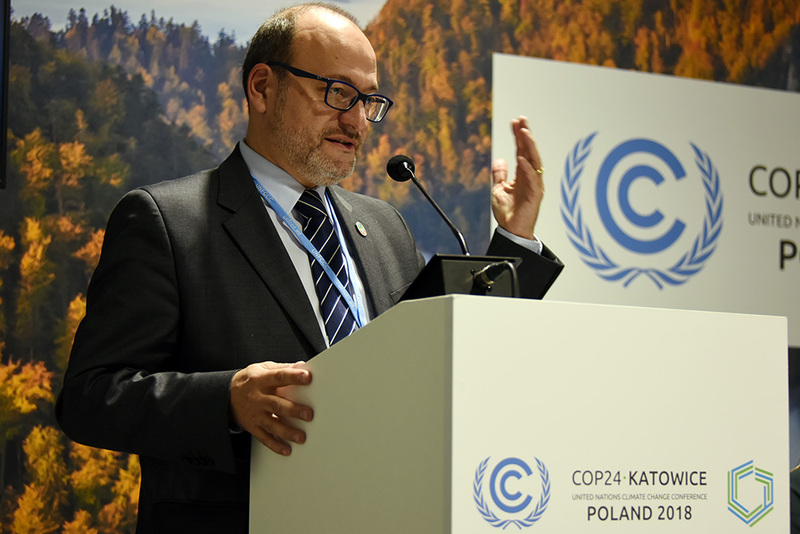 Noting that delegates are always asking who will pay the bill, Carlos Manuel Rodríguez, Minister of Environment, Costa Rica, highlighted that mobilizing domestic resources to address the finance gap is in the country’s own interest. 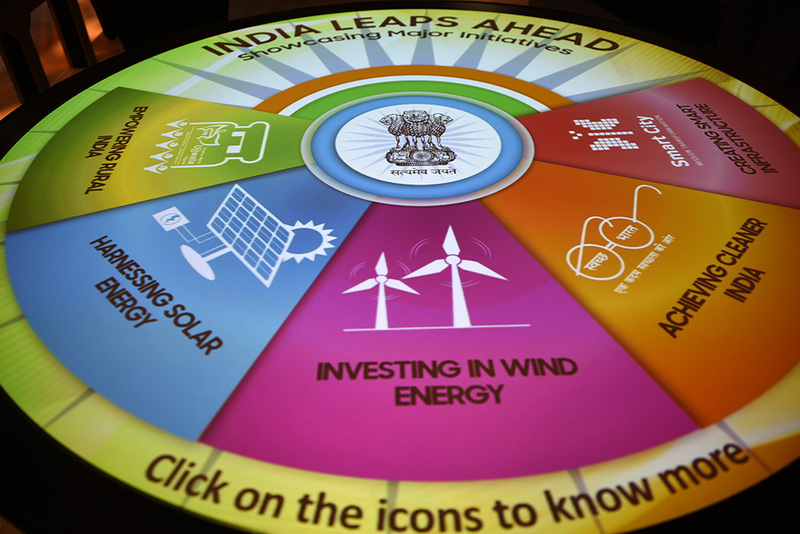 He stressed that to narrow the financial gap, the world first needs to stop polluting, and said that his country has been divesting from fossil fuel-based electricity and moving towards renewables. Laura Tuck, Vice President of Sustainable Development, World Bank Group, underscored the Bank’s commitment to increase ambition working with developing countries to integrate climate action in their financial planning, and supported the use of limited concession financing to areas in which it will have the biggest impact. 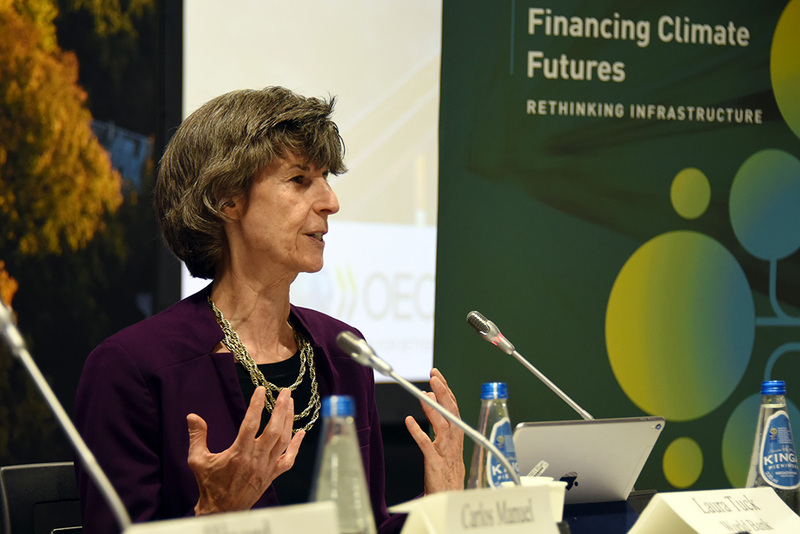 She highlighted the Bank’s USD 20.5 billion lending for climate action and stressed the need to create markets where future investments are sustainable. 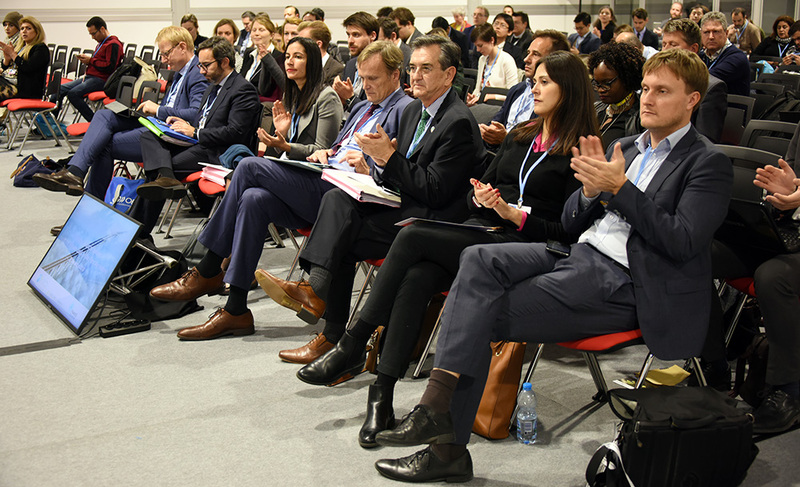 This event brought together leaders in the public and private sectors to discuss solutions to address the urgency and scale of adapting to climate change by challenging conventional approaches, sharing real world lessons, and spurring innovative thinking for transformational change. 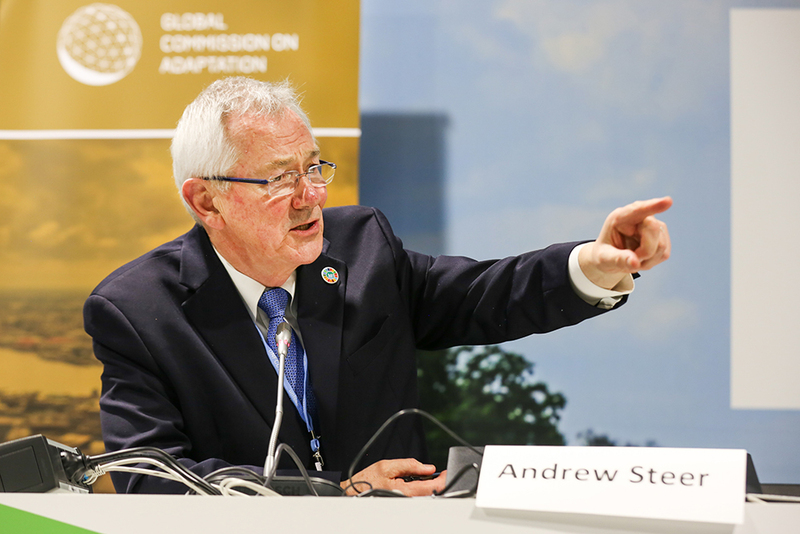 Moderator Andrew Steer, WRI President and CEO and Global Center for Adaptation (GCA) Commissioner, opened the event by highlighting the need to increase political leadership on adaptation. 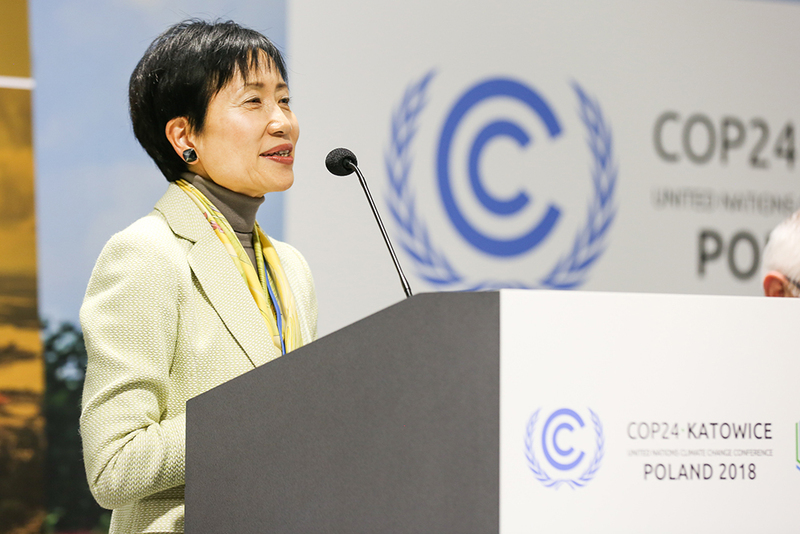 Noting the urgency for transformation towards a sustainable and decarbonized society, Naoko Ishii, GEF CEO and Chairperson, stressed the need to challenge the way the world thinks about adaptation, including through: better systems thinking; pivoting international cooperation from conventional approaches that focus on mitigation; and paying more attention to the roles of science and innovation. She highlighted the need to change the mindset of the private sector, which presently seeks funds mainly for mitigation projects. 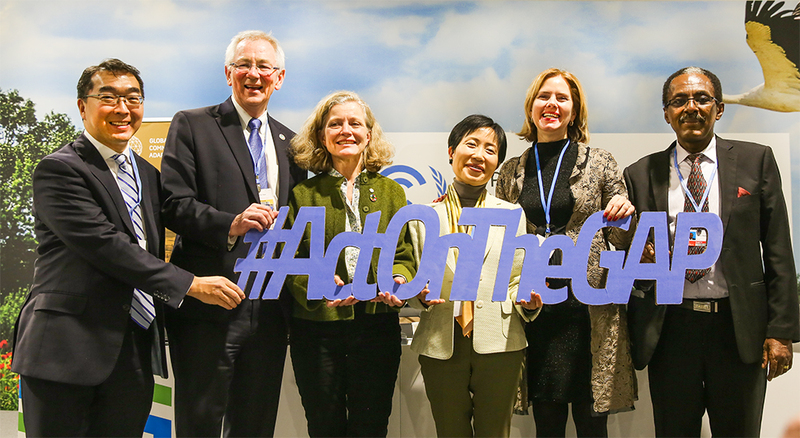 Cora van Nieuwenhuizen, Minister of Infrastructure and Water Management, the Netherlands, noted the establishment of the GCA in the Netherlands and stressed the importance of raising awareness on adaptation worldwide by integrating the social, economic and environmental agendas. She explained that the country’s nation-wide early warning system, developed and implemented with various stakeholders, involving local communities and the private sector, resulted in reducing the number of cyclone victims. 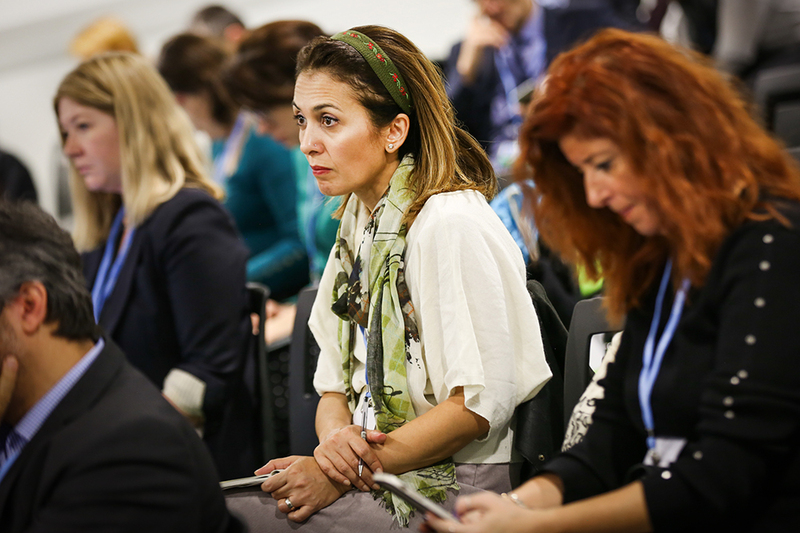 Emma Howard Boyd, Environment Agency, UK, pointed to the importance of “adaptation resilience” as the foundation for addressing climate change impacts. 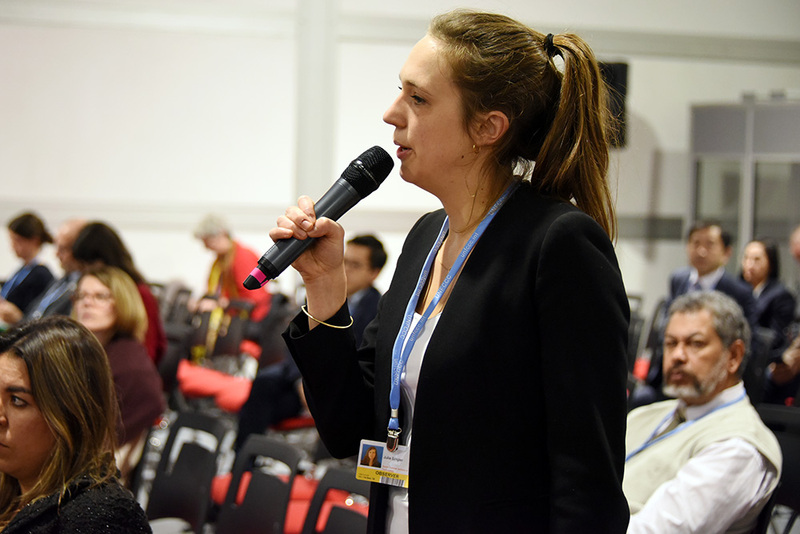 She underscored the need to collectively create an “adaptation resilience” stream as a global initiative, by addressing mitigation and adaptation together in decision-making through an integrated approach. 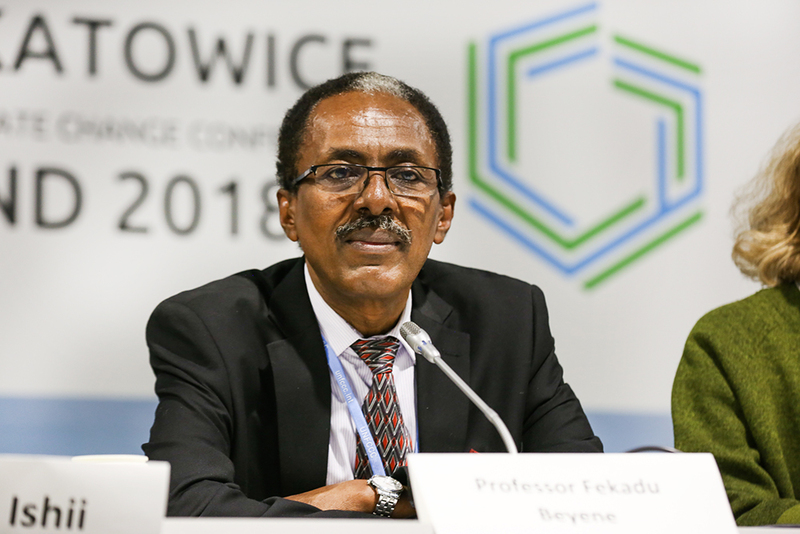 Fekadu Beyene, Environment Forests and Climate Change Commission, Ethiopia, noted the importance of increasing capacities of local actors on adaptation, including through: mainstreaming the adaptation agenda into different plans and actions; creating a shared vision; and providing financial support to local communities. 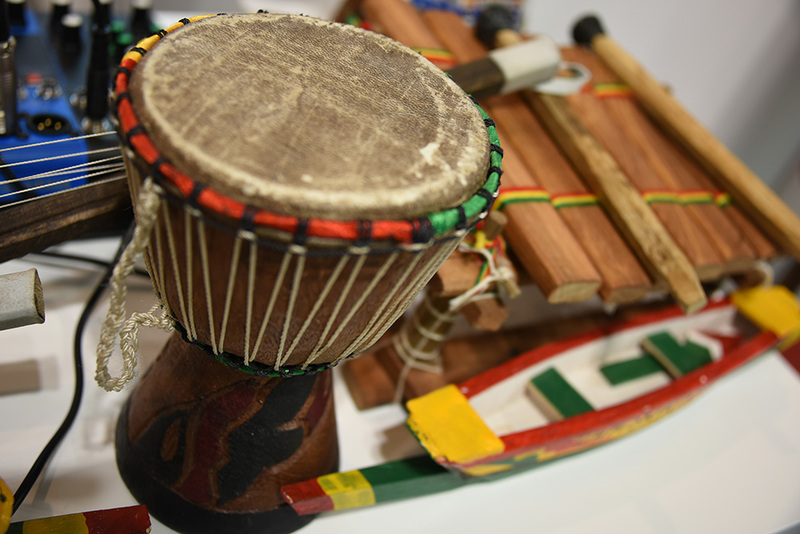 He underscored the role of the international community in supporting developing countries to move forward with adaptation. 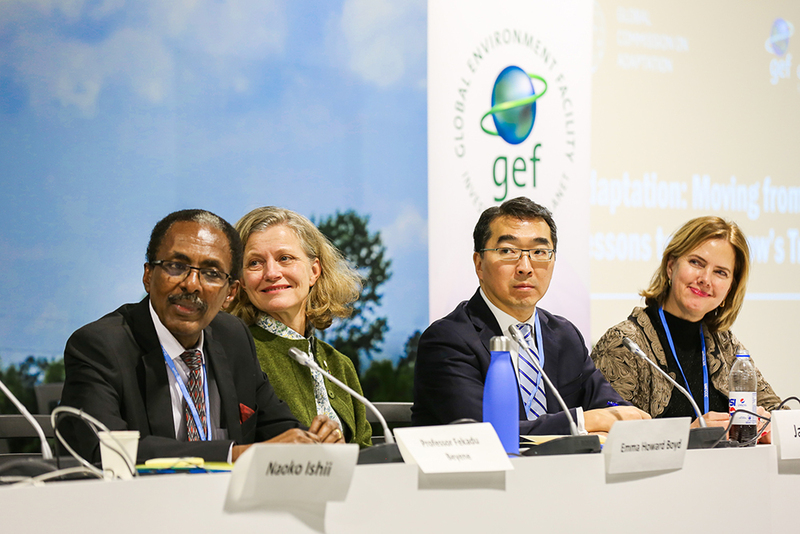 Jay L Koh, Founder and Chair, Global Adaptation and Resilience Investment Working Group (GARI) and The Lightsmith Group, described GARI’s objective of bringing private sector perspectives on adaptation measures which value investment. 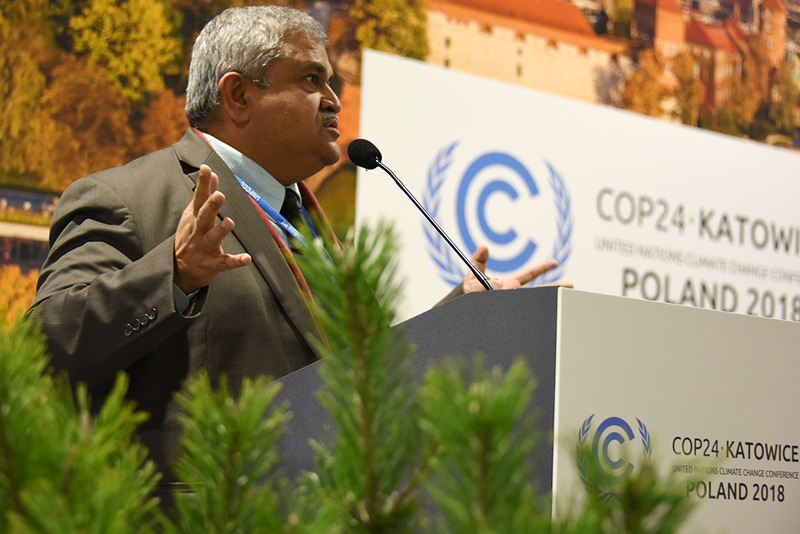 Highlighting that the private sector has increasingly become aware of climate risks, including economic risk, Koh stressed the private sector’s role in data management on adaptation. In the ensuing discussion, participants considered: whether the GCA succeeds or fails depends on how much the Center can scale up adaptation actions worldwide; what transformation and a systems approach on adaptation mean on the ground; the need to include indigenous knowledge; the role of the private sector in measuring adaptation projects; and the linkage between development and adaptation. 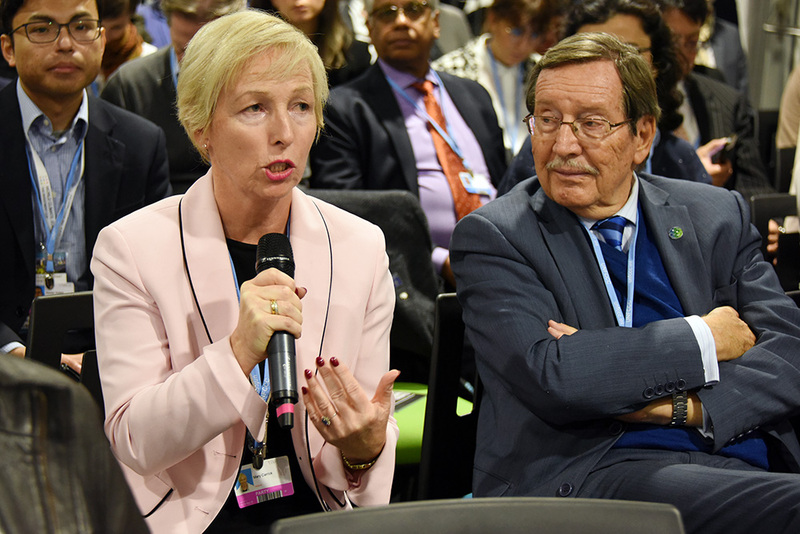 Hosted by the GCF, this event discussed the key priorities in accelerating climate finance to match the ambition and urgency needed to meet the goals of the Paris Agreement. 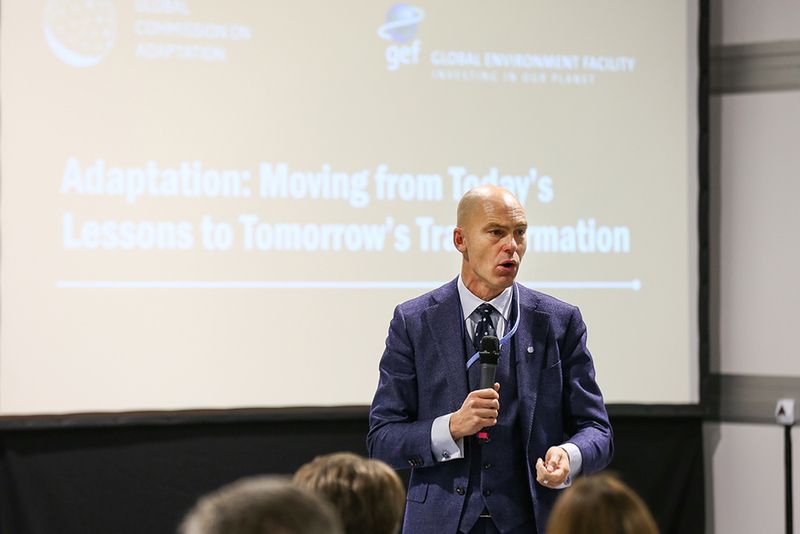 Paul Oquist, GCF Board Co-Chair, opened by urging that raising ambition is key to avoiding even more catastrophic consequences of climate change. Oyun Sanjaasuren, GCF, moderated the event. 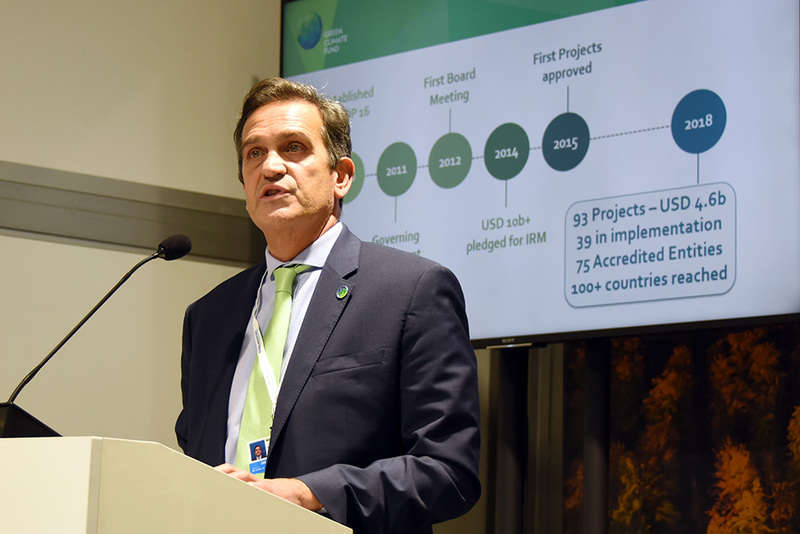 Javier Manzanares, Executive Director, GCF, recapitulated the GCF’s programming, noting the global network of partnerships, which has approved USD 4.6 billion since the GCF began funding projects in 2015. 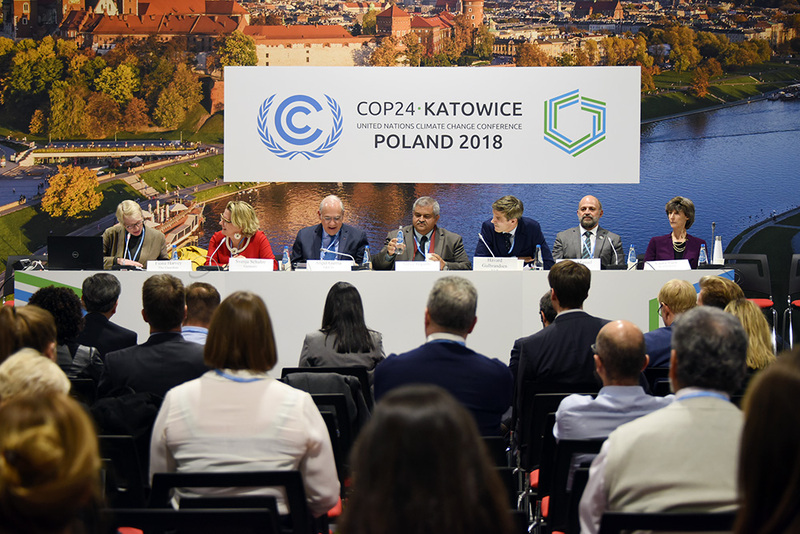 Bill Hare, Climate Analytics, explained the necessity for continued and rapid renewable energy development, as well as major shifts in investment to leverage private funds. 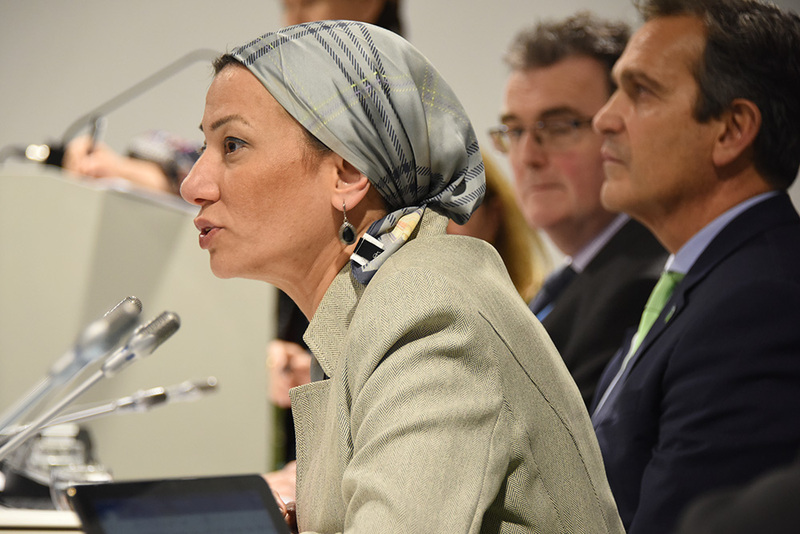 Yasmine Fouad, Minister of Environment, Egypt, countered that without public policy shifts from countries, the 1.5°C target will not be met, and called on the GCF to streamline its process to serve developing countries. 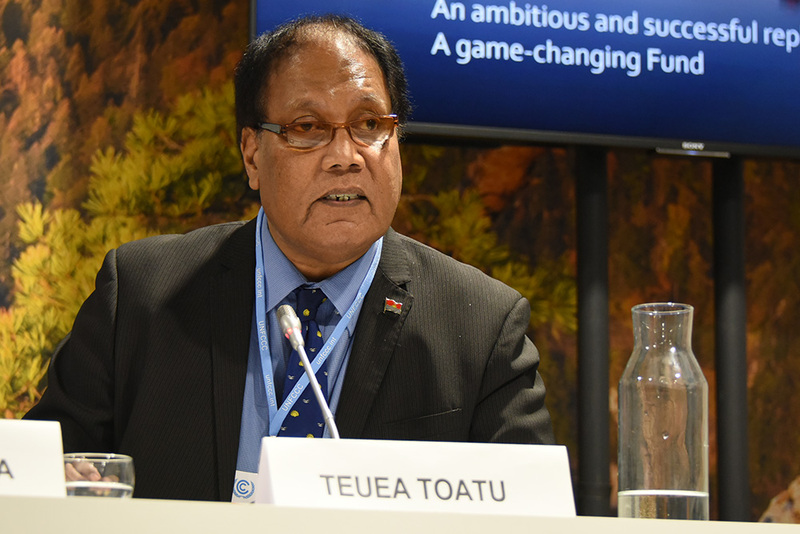 Teuea Toatu, Minister of Finance and Economic Development, Kiribati, commended the GCF’s flexibility, breadth of support and multiple funding windows. Mary Carrick, Department of Finance, Ireland, announced that her country has added USD 2 million to its USD 4 million GCF contribution. 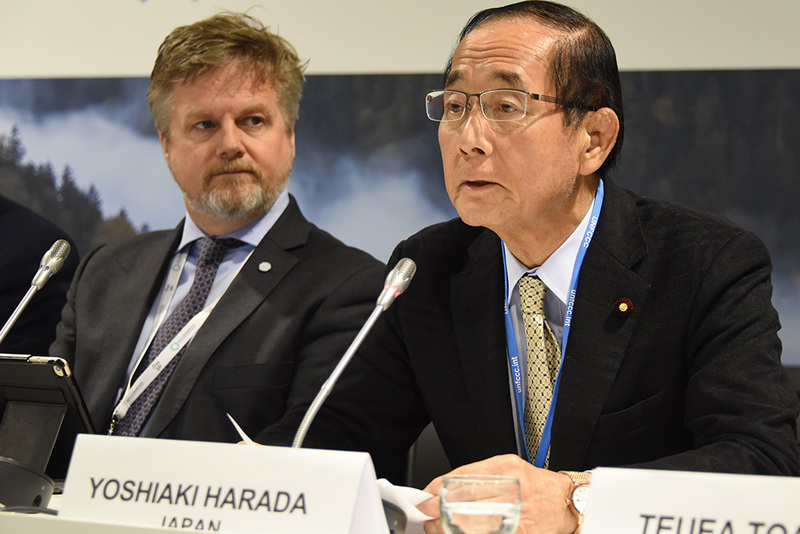 Yoshiaki Harada, Minister of the Environment, Japan, stressed that the GCF needs to hear experiences of how allocated funds are helping developing countries if the Fund is to continue supporting climate mitigation and adaptation efforts. 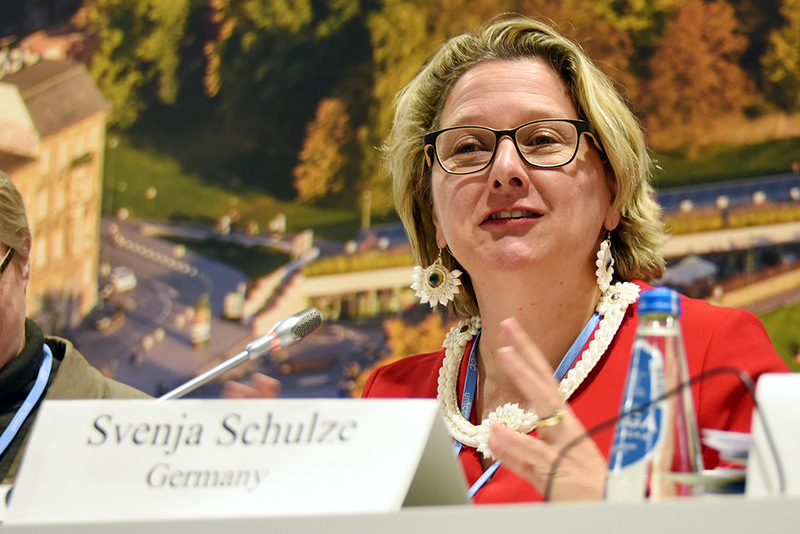 Svenja Schulze, Minister for the Environment, Nature Conservation and Nuclear Safety, Germany, announced that Germany is doubling its contribution to the GCF between now and 2020 in order to meet the joint goal of mobilizing USD 100 billion annually. 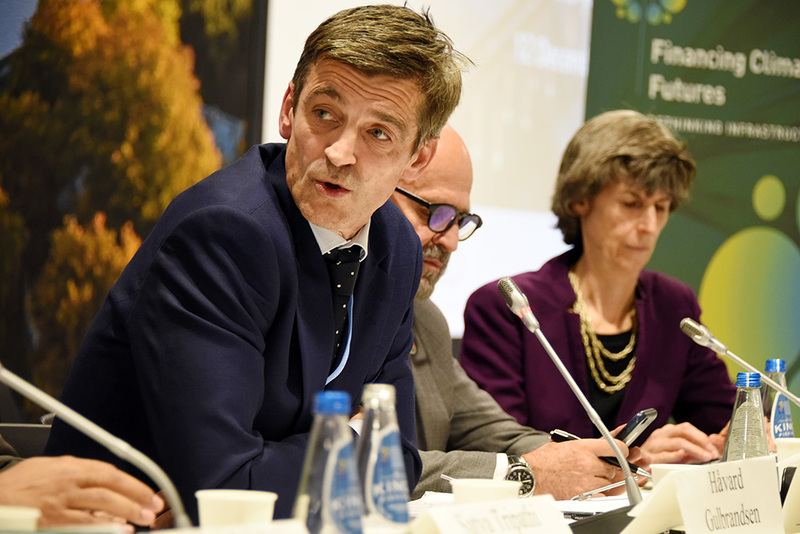 Rémy Rioux, CEO, Agence Française de Développement, cited the unique role of the GCF in achieving the goals of the Paris Agreement in its capacity to mobilize willing actors and provide direct access to funds. 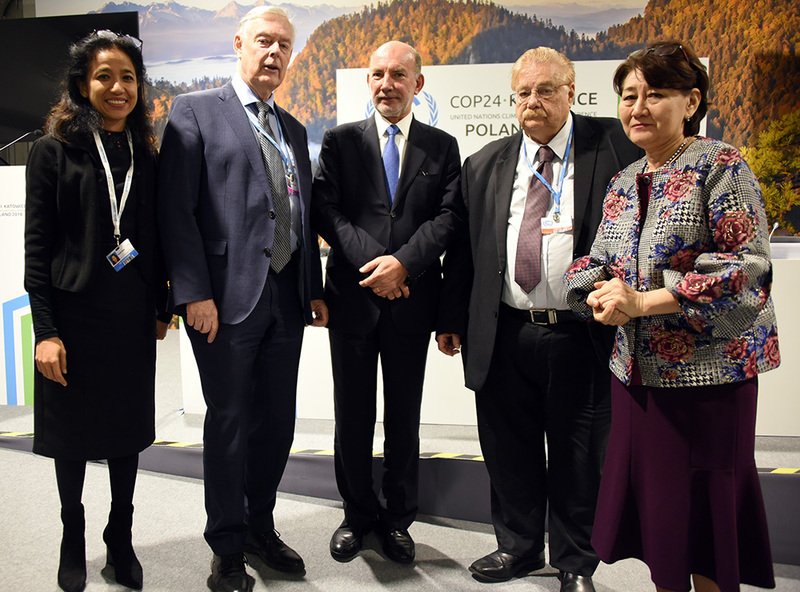 A representative from the Norwegian delegation, for Olva Elvestruen, Minister of Climate and Environment, Norway, called for further funding for REDD+. Terry McCallion, European Bank for Reconstruction and Development, shared experiences about building capacity and skills at the policy level, especially around fragmented areas such as energy efficiency. 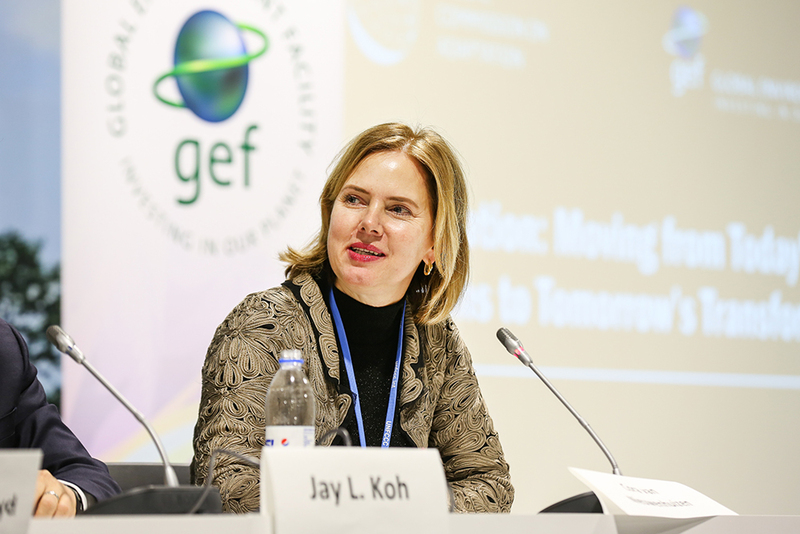 Ingrid-Gabriela Hoven, Ministry for Economic Cooperation and Development, Germany, called for the GCF to be a role model on gender issues in climate financing, and for GCF funding to be integrated into Nationally Determined Contributions (NDCs). 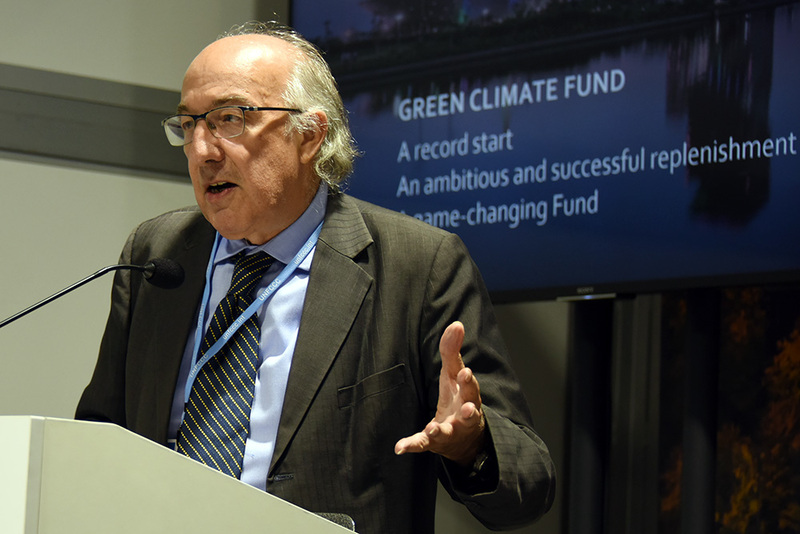 Luis Alfonso de Alba, UN Secretary General’s Special Envoy for the 2019 Climate Summit, pointed out the joint objective of the Climate Summit and the GCF: to increase ambition. 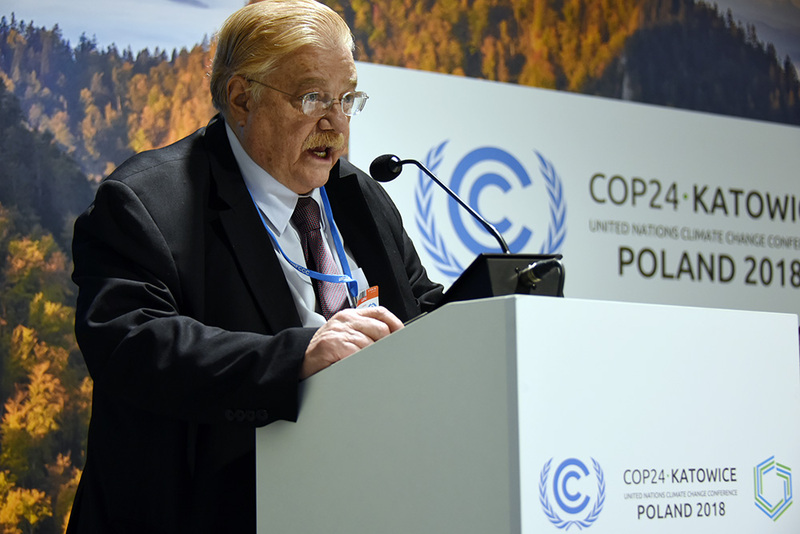 He underlined that governments should accept the Paris Agreement as a necessary reality.